Award-winning Bluegrass duo, The Roys, are once again nominated for Inspirational Bluegrass Artist of the Year during the 21st Annual Inspirational Country Music Awards (ICM). If they win, it will be the fifth consecutive year the siblings have won the award. Nashville, TN -- Brother/sister duo The Roys won the Inspirational Country Music's Bluegrass Artist of the Year Award for the fourth consecutive year at last night's 20th Annual ICM Faith, Family & Country™ Awards show. "Truly humbled once again," noted Elaine of the honor. "We thank the Lord Jesus and Mom and Dad," added Lee. Following their acceptance of the award, The Roys delivered a stellar version of the poignant "Mended Wings" from The View, their fourth Rural Rhythm Records' release. The disc hit stores in September, debuted at #2 on the Billboard Top 10 Bluegrass Albums chart, and generated a #1 single with "No More Lonely" on the Bluegrass Today Weekly Airplay Chart. Nashville, TN (October 25, 2013) - Brother/sister duo The Roys pulled off a "three-peat" at last night's 19th Annual ICM Faith, Family & Country™ Awards, winning the organization's coveted Bluegrass Artist of the Year Award for the third consecutive year. Nashville, TN -- Busy Bluegrassers The Roys return to host the Ernest Tubb Midnite Jamboree, one of the longest-running radio shows in the U.S., on September 14. They will bring along Country newcomers Branch & Dean ("The Dash") as their special guests. Fans can listen to the world-famous show live online at 650AMwsm.com. Bluegrass music artists Bruce & Betsty Mullen, Doyle Lawson & Quicksilver, Rhonda Vincent, Ricky Skaggs and The Roys are all nominated for this year's Inspirational Bluegrass Artist in the Inspirational Country Music Association's Awards for 2013. 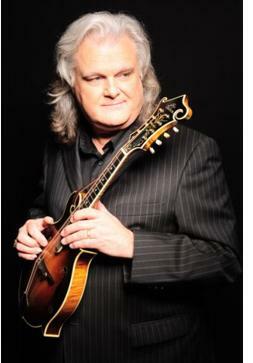 Ricky Skaggs is also a finalist in the Musician along with super picker Vince Gill. The Roys are also up for a second category in the Vocal Duo area. 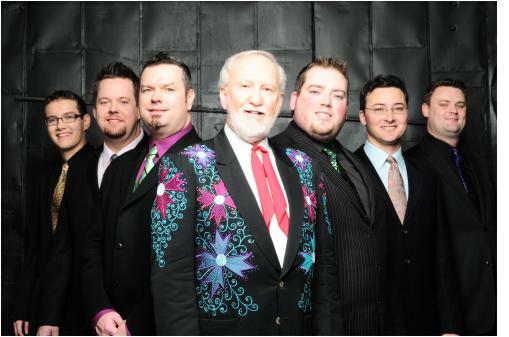 Bluegrass and Gospel favorite Doyle Lawson & Quicksilver are also nominated for the Vocal Group or Band award. Nashville, TN -- Bluegrass brother/sister duo The Roys are nominated for two 2013 Inspirational Country Music Awards: Inspirational Bluegrass Artist of the Year and Vocal Duo & Performance of the Year. "Once again we are humbled by the support and appreciation of our music by the ICM voting body," states Lee Roy, who along with his sister Elaine, has received five previous honors from the organization. "Win or lose we are truly blessed," Elaine Roy adds. "It is an honor to be included with such great artists and to be a part of this wonderful genre. Nashville, TN -- Doyle Lawson & Quicksilver will perform LIVE at the 18th Annual Inspirational Country Music (ICM) Awards at Nashville's acclaimed Schermerhorn Symphony Center on Thursday, October 18, 2012. The Final Five Nominees for the ICM Awards were announced on August 31, and Lawson and his band garnered awards nominations in two categories: (1) Inspirational Bluegrass Artist and (2) Vocal Group or Band of the Year. Nashville, TN (September 26, 2012) – The 18th Annual ICM Faith, Family & Country™ Awards, to be held Oct. 18 at Schermerhorn Symphony Center (One Symphony Place), is excited to announce the addition of Mac Powell and The Roys to their growing list of performers. Powell, front man for the multi-platinum, four-time Grammy® award-winning band Third Day, will debut music from his new self-titled country album. 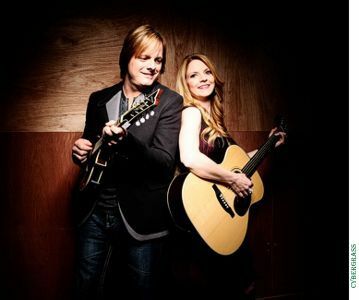 Bluegrass music duo, The Roys, will also be performing new music from their latest album New Day Dawning, which debuted at #2 on Billboard Bluegrass Albums Chart. Powell and The Roys join previously-announced performers Doyle Lawson & Quicksilver, Andy Griggs, Chuck Day, Aubree Bullock, Geoffrey Andrews, DJ Miller, Chuck Hancock and Steve Richard and Laura Dodd, who will be performing a special duet.